Getting your bass management on processors and receivers is critical if you hope to get the best performance out of your audio system. While many systems recommend 80 Hz, not every system is so user-friendly. So here are some tips for getting it right when you need to set the phase and frequency on your subwoofers. Please note these are general tips that can include different brands of subwoofers. 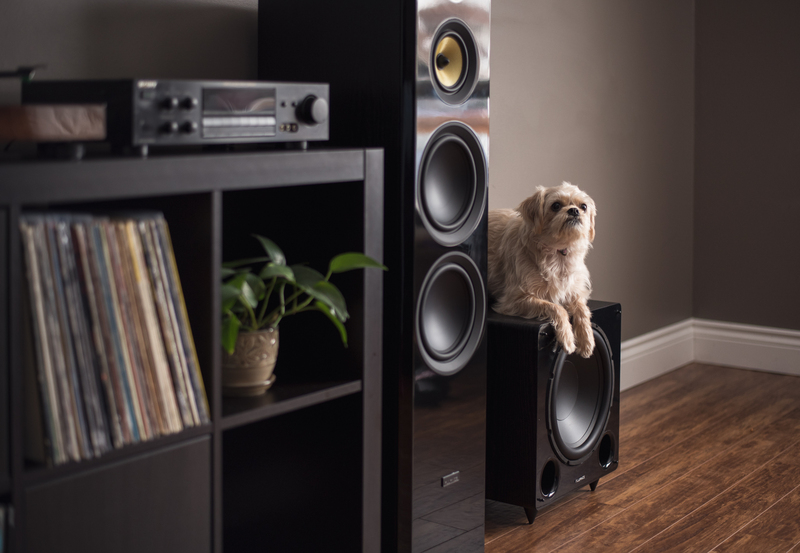 For specific setup instructions for Fluance subwoofers checkout our subwoofer setup video. First, you will need to set all of your speakers so that they are facing the same direction. This will allow you to judge the quality of the sound. Now, you may end up with subwoofers that are out of phase with each other. When this happens, the bass quality coming from each speaker will cancel out that of the other, resulting in poor quality sound. Because some speaker wires cannot be switched, (as is sometimes the case with RCA cords), an alternate method is often provided in the form of a “Phase” switch. Set up your speaker so that you can listen to them, without fully installing them in the wall or entertainment case. Listen to the quality of the sound. If the bass is not to your liking, flip the phase either to 0 or 180- listen for quality- and you’re done. Crossover is the frequency where speakers begin to roll off, and the subwoofer starts outputting bass notes and LFEs. Most of today’s systems have an EQ feature that will set up the proper crossover automatically based on the specifications of your speakers. If your system is using one of these, and you’re not sure how to do it yourself- it’s probably best to leave it alone. If you need to do it manually, however, here are a few guidelines. Set the crossover point 10 Hz higher than the low end of your speaker’s tolerance range. If you don’t know the frequency range of your speaker, use a subwoofer matching tool. Listen for smooth transitioning between the subwoofer and the speakers. The blending should sound clean and seamless. If there’s a bass bump at the crossover frequency, adjust the volume to match your main speaker’s output.